AR Balls are manufactured from acrylic with other clear resins, reducing cost and giving a tougher.. Contact Juggling Ball (Acrylic, CLEAR, 65mm) AR Balls are manufactured from acrylic with other.. Contact Juggling Ball (CLEAR) AR Balls are manufactured from acrylic withother clear resins, re.. 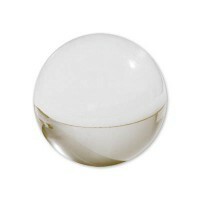 Contact Juggling Ball (UV) AR Balls are manufactured from acrylic with other clear resins, red.. Contact Juggling Ball (RUBY RED)AR Balls are manufactured from acrylic with other clear resins, redu.. Contact Juggling Ball (PURPLE)AR Balls are manufactured from acrylic with other clear resins, reduci.. Contact Juggling Ball (GLOW)AR Balls are manufactured from acrylic withother clear resins, reducing .. Contact Juggling Ball (FOREST GREEN) AR Balls are manufactured from acrylic with other clear r.. Contact Juggling Ball (Acrylic, CLEAR, 68mm) AR Balls are manufactured from acrylic with other.. Contact Juggling Ball (Acrylic, RUBY RED, 65mm)AR Balls are manufacturedfrom acrylic with other clea..